The Intel Movidius Neural Compute AI USB stick was slated for launch in 2016, but the acquisition by Intel halted proceedings. Now the company is back to normal operations and its USB AI Stick is finally here. The Intel Movidius Neural Compute AI USB is powered by the Myriad 2 vision processing unit (VPU), which promises 100 gigaflops of performance all while operating within a 1-watt power envelope. Given its low-power requirements, Intel is aiming the Movidius NCS at developers, research engineers and of course the do-it-yourself crowd. The processor has twelve cores running in parallel and can execute facial recognition and object detection algorithms. It supports neural networks based on the Caffe framework (a neural network library). However, it’s not clear if it will support Google’s TensorFlow framework or not. A complete list of specifications for the processor can be found here. The device was delayed due to Intel’s involvement but that helped the company bring down its expected retail price. Initially it was expected to go for around $99, but now it can be bought for just $79. The Intel Movidius Neural Compute AI USB acts as an AI accelerator that doesn’t need to be hooked up to a cloud-based system and makes it easier to add deep learning capabilities to existing computing platforms. For example, using the device’s technology, developers will be able to design an AI-powered drone or add AI into existing apps and devices. 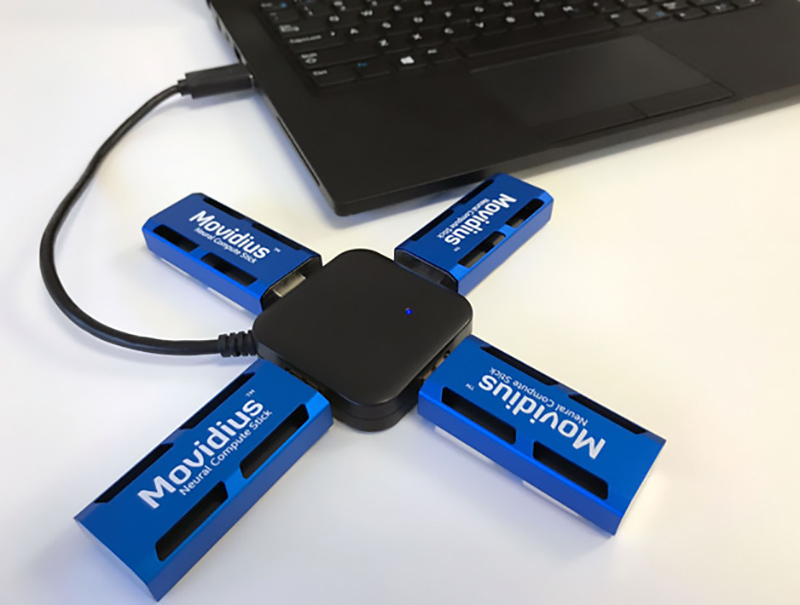 According to Intel, the Movidius USB stick could also reduce research and development costs for testing machine learning applications. Video Credit: Click HereSpecs-wise, the Movidius Compute Stick consumes just 1 watt of power and provides 100 gigaflops of performance. It runs on a Caffe framework and connects to a PC via USB 3.0. It requires a 64-bit PC running Ubuntu 16.04, with 1GB RAM and 4GB onboard memory to function. It should be mentioned that the device is definitely not suitable for bigger corporations which require greater processing power. It would be much more efficient for them to simply incorporate their own sensors and hardware in their devices. Let’s see how much this USB becomes popular in computer world.